Is this an accident! - or just Brutalist? ... and it is marked! Please can someone advise me? 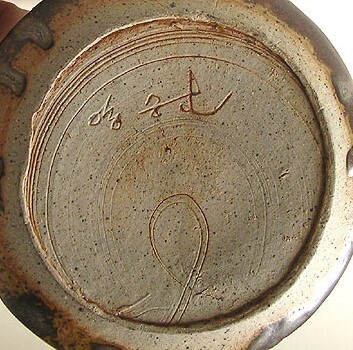 Did the potter make a mistake, or is it supposed to be some kind of cracked clay/glaze design? I have to say I love it! Any one know who might be responsible for this? 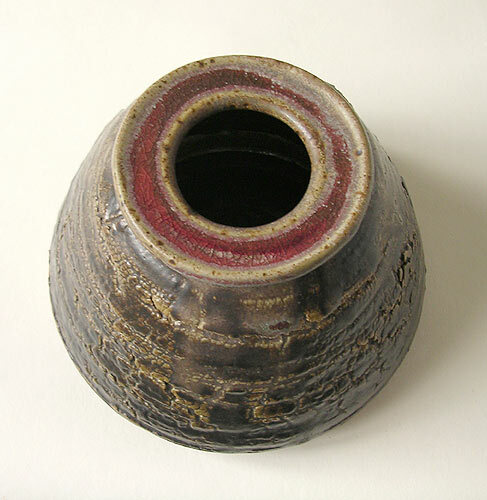 Dimensions: just under 3.5 inches high/85mm high. Widest diameter just under 5 inches/125mm. I cannot read the marks at all ... can anyone help? Re: Is this an accident! - or just Brutalist? ... and it is marked! Sorry ... is this any help? I can’t make out any letters or numbers. Maybe it’s Moroccan or Japanese? It looks as if it was meant to be like that to me. 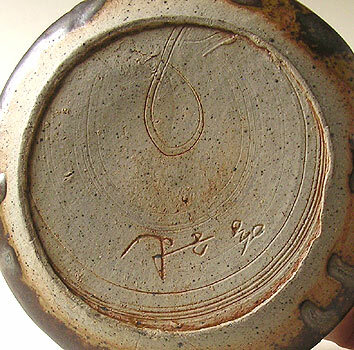 There is a potter here in England called Pat Southwood, who does something similar but it is not her mark. 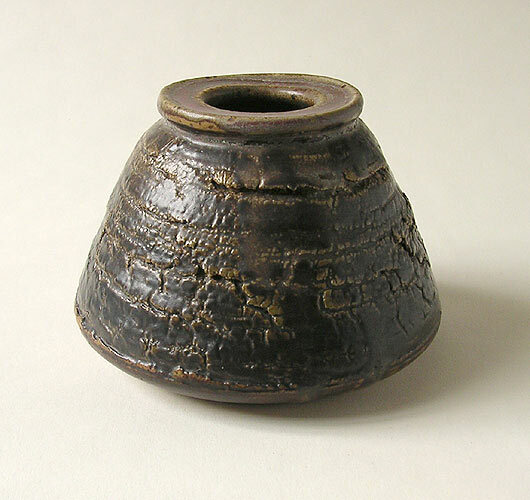 The stoneware body and the look of it suggests that it is European to me and probably French. Thanks ... I have posted this on the french pottery forum - now all I have to do is wait ... but while I do I'll keep hunting!